Welcome to this spacious 3 bedroom 2 bathroom Aurora townhome. Valued ceilings, skylights and fresh paint creates a clean, crisp space. Main living room and kitchen adjoin providing open plan living complete with patio access. Kitchen features large counter perfect for breakfast or entertaining! Upstairs you will find two bedrooms and one full bathroom. A third non-conforming bedroom and full bath are located in the basement. Attached oversized garage. 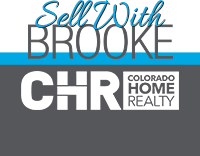 Located in award winning Cherry Creek schools with great proximity to major highways and public transport. Convenient location to shopping, restaurants, and much more!